For a limited time only: buy a king size for the price of a double, or a superking for the price of a king! Introducing the all-new Performance Pocket 1600 Mattress from Mammoth: clinically proven to offer you a deeper, more restful sleep. 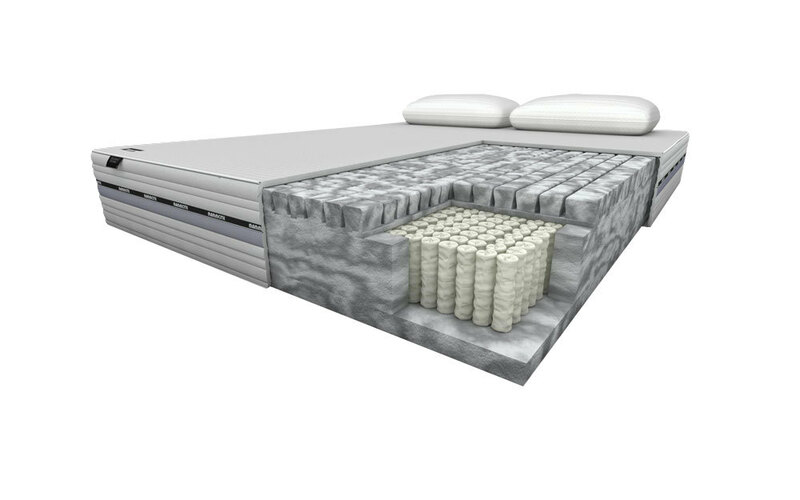 It's a revolution in mattress performance: a 7cm layer of award-winning Medical Grade Foam together with 1600 individually-responsive pocket springs create the ultimate hybrid mattress. 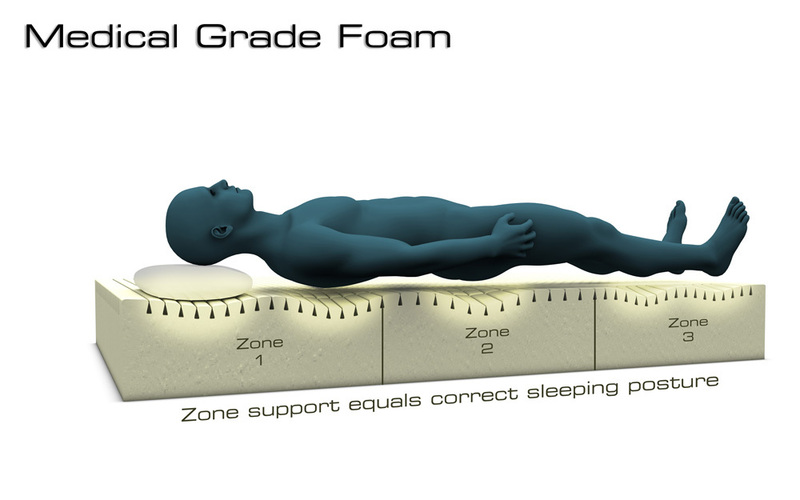 Responding to and supporting your every move throughout the night, you can be sure of the targeted comfort, pressure relief and support that you need. 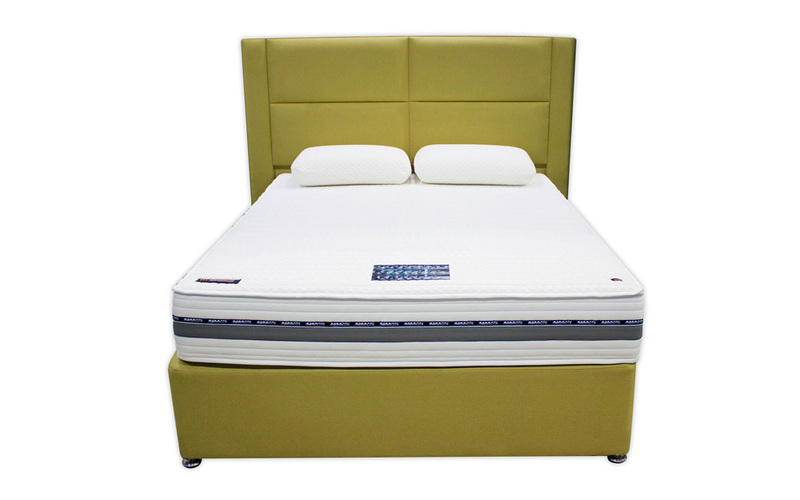 Luxurious comfort meets perfectly balanced medium firmness: all encased in an Edge 50 Support Foam wall that ensures all the plush fillings remain securely in place for total, edge-to-edge support that lasts. Mammoth now holds a prestigious official partnership with the Chartered Society of Physiotherapy. So whether you're an elite athlete or you face the stresses and strains of everyday life - this mattress offers you the ultimate way to relax and unwind after a long day. Hypoallergenic for your peace of mind, the Performance Pocket 1600 offers a cleaner, healthier sleeping environment. The softly knitted fabric cover helps to keep you feeling cool and fresh throughout the night. Enjoy your mattress for longer with a removable, integrated washable mattress protector: the ideal way to keep your mattress in the best condition possible. 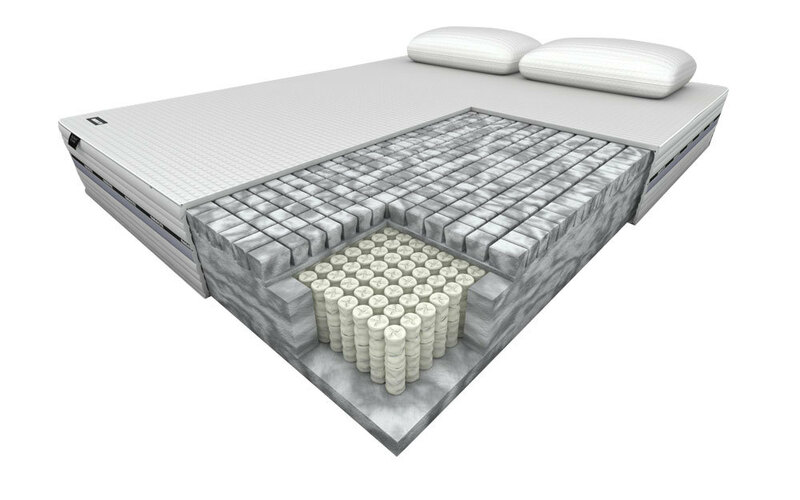 Paired with the no-turn, single-sided element of this mattress, rotating it every three months will ensure continued support night after night. Get more Mammoth for your money! Enjoy a king size for the price of a double! Don't miss out - offer must end soon. Please note: price is already applied. Please note: this mattress is covered by an automatic 1 Year Guarantee. In order to benefit from the Limited 10 Year Warranty, please refer to the information provided within your mattress packaging, where you will be asked to register your mattress on the Mammoth website. This mattress is so comfortable. I can only describe it as being in a really luxurious hotel bed! Really comfortable. The hybrid mattress is an excellent idea, and the foam doesn't have the same issues with requiring heat that memory foam does. It's a very warm mattress too - you'll notice how warm you are in this. The medium tension mattress really does feel like it supports well! Just the smell - this is not a huge issue and isn't noticeable once you're in the room and ready to sleep. The room needs to be aired while the mattress is still settling in (it's only been 3 weeks) and the documentation clearly states that the smell will dissipate over time. It's not an unpleasant smell and the comfort far outweighs it! Feels soft but gives great support. My nagging back ache that existed when I got up every morning with my old bed has completely gone. There is a smell of foam which the paperwork warns might stay for a few months but either I have got used to it or it is fading quickly.